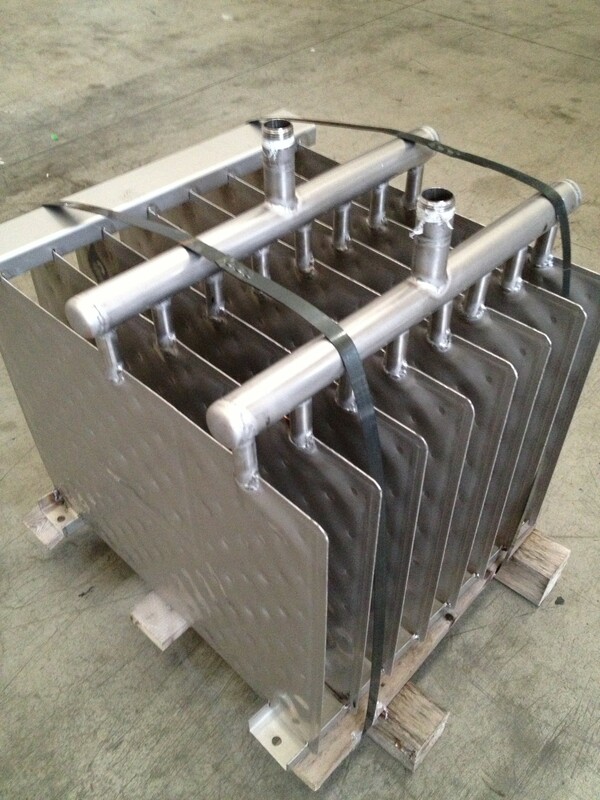 when we go in workshop to test a TCOIL heat exchanger, our mind goes to solutions and features which this kind of dimple jacket exchanger can achieve. In this case we can cool down cutting oil for a CNC tool machinery. The problem is related to the big amount of scale and chippings. A standard heat exchanger will be clogged in minutes. You can immerge directly TCOIL in the oil tank. The spacing plate by plate is very large allowing ad easy cleaning, without special tools. A chiller provide cold water for internal circulation inside the TCOIL. This looks like a good simple solution to a potential cooling problem, is it made from stainless steel?